​Since Freakhouse's rerelease, Amazon prompted me to update my Author Page. If you've been following me on Twitter, you already know the fun I've been having. The mysterious book that was not penned by me will be detached from my page as confirmed by Amazon Support, and now all that needs doing is my Author photo. I put the options up to friends and family to vote on, so why not put it on here, too! Anyways, let the voting begin! You can go through as many of the photos as you like. You can vote for as many as you like! ​Let the mass judgment of my physical appearance begin! So I did have to call UPS one more time *sigh* but hopefully this means that everything will be sorted out very soon. All but 2 books are now safely in their new homes. 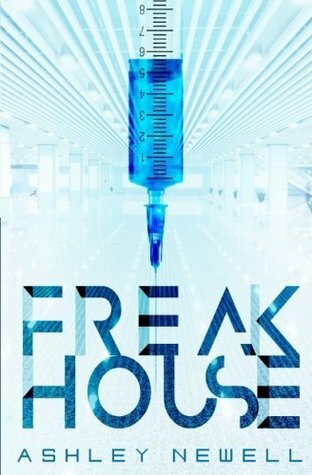 In light of 25 copies of Freakhouse now living in various places around the world, as well as all of the other copies waiting to be adopted on August 26th, I am now going to make the author plea. Goodreads is in better condition. It's a little weird to see reviews beyond my own friend base - I don't know if that's a Goodreads thing or if it's an Author page thing, but there are actually more ratings and reviews than what show up when I open the book page. So how do we remedy this? Well, you might be pleased to know that you still count as a customer even if you did not in fact make a purchase from Amazon! If you bought, were lent, or won a copy of any book, you can still pop onto Amazon and leave your thoughts. Why would I ask you to take a whole 5 minutes out of your day to do this? Because small press and indie authors do not have the mega bucks that large publishing houses do, and thus we cannot buy $6,000 reviews or $30,000 insta-list topping placement in all the hip charts! We rely on the good nature of honest readers, like you, to give us 5 minutes, which in turn may mean that one other person might decide to checkout our book. 5 minutes to you thus equals $2-$4 for your author that can be put towards them writing another book. Did you hate the book? Say that, then! And that $2-$4 can go towards the $500-$2000 price tag of a professional editor that can make future books better! 2) Great book. Glad I read it. 3) It was an enjoyable read. 4) It wasn't a bad book. 5) Not my favourite but it wasn't awful. 6) Not the right book for me. 7) Just couldn't get into it. 9) I never knew that they could make books this terrible. I mean, clearly authors would like to hear something better than #9, but honestly, despite what the Mama Bunny said in Bambi, it is better to say something not nice than nothing at all, at least in the world of reviews.